Pakistan Test skipper Misbah-ul-Haq on 6 April called curtains on his international career, announcing that the upcoming three-match series against West Indies beginning April 22 in Barbados will be his last. Speaking at a press conference at the Gaddafi Stadium in Lahore, the 42-year-old said, "I am announcing my retirement from international cricket. The upcoming series against West Indies will be my last." 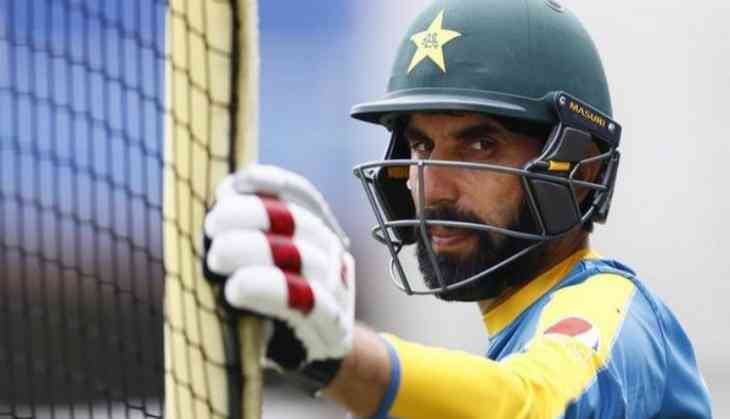 Misbah, however, said that he will continue to play cricket at the domestic level. "I will continue to play cricket at the domestic level.Regarding when I will leave domestic cricket, I will decide it later," the Express Tribune quoted him as saying. Misbah, who will turn 43 in May, had earlier asked the Pakistan Cricket Board (PCB) for time to decide on his future following whitewash defeats in his last two series against Australia and New Zealand, respectively. The veteran batsman maintained that despite witnessing many ups and downs in his career, he was satisfied with the contribution he made to the country. I've seen many ups and downs during my career," he said. "I was dropped from the team played poorly as well at times. But then I had some great moments too where we became the number one Test team in the world. So overall, I am satisfied with my performance." In January, it was announced that ODI captain Azhar Ali would lead the Test side following Misbah's retirement as a part of "radical changes" required in the national team. The Mianwali-born also asserted that it was his dream to see Pakistan win the World Cup and was, therefore, disappointed not to achieve that goal. "I had a dream of winning the World Cup for Pakistan, but then I also had a dream of captain the team in Pakistan. However, that is how life is. You don't get everything you ask for," he said. Misbah also called on everyone to support newly-appointed skipper Sarfraz Ahmed and said, "We should not put pressure on Sarfraz; instead we should support him. He also supported the idea of having one captain across all formats of the game. Misbah has been at the receiving end towards the late end of his career. However, leaving the 0-2 thrashing against New Zealand, followed by 0-3 whitewash against Australia, the 42-year-old has been the shining star for the side. He also inspired Pakistan to the top of the ICC Test team rankings for the first time in history. Although their stint at the top was short-lived as India replaced them. Misbah has played 72 Test matches so far, scoring 4951 runs and is currently seventh on the list of Pakistan's highest Test run-getters. He had already retired from ODIs and T20Is after the 2015 World Cup.